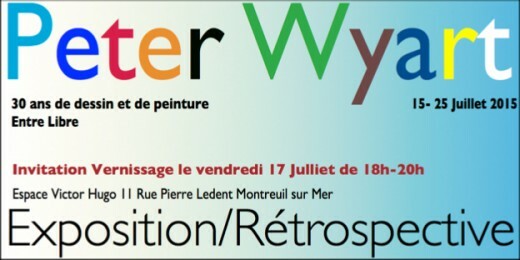 If you missed the chance to see Peter Wyart’s exhibition of recent work in Montreuil last month, put the dates of his July show, a retrospective of 30 years of his work, in your diary. At the last Wyart exhibition we attended the vernissage and decided to buy two paintings, only to be pipped at the post by another buyer who got his order in a couple of minutes earlier. It seems if you want to own a painting by Peter Wyart, you need to make sure you’re at the front of the queue.